The Visitors Centre celebrates past and present. 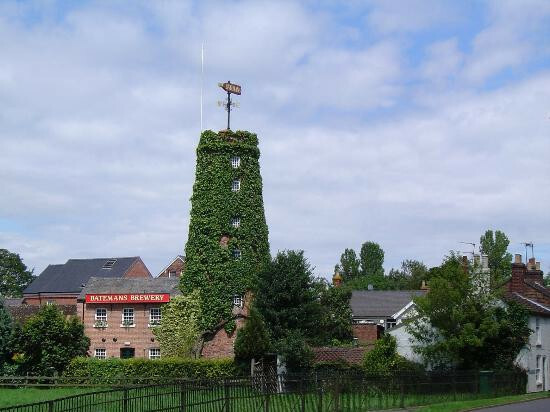 A fascinating brewery tour, not just for beer lovers, old brewing and Batemans artefacts with letters from 1899, plus good food and beer plus other drinks. There is also a shop with unique gifts. A beer garden - great place to sit and relax or enjoy the giant traditional pub games. In the paddock there is a caravan site nestled between the river and the windmill. Salem Bridge Brewery, Mill Lane, Wainfleet, Skegness, Lincolnshire, PE24 4JE.